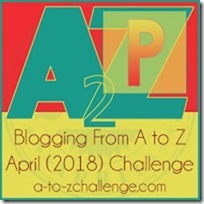 Travel Problems #AtoZChallenge - A Rose Is A Rose Is A Rose! We plan for our travel trips to the tee. We want them to run smoothly like clockwork precision. But travel problems have a way of creeping up on us and throw a wrench in the best planned trips. Over the years I have faced a lot of travel problems. Let me share a few unexpected travel snafus today. I believe in reaching early so I leave a generous margin for getting to the airport or railway station. It’s better to wait rather than reach all stressed out! Last year, I had to catch a late evening flight to Bali from Delhi and had to reach the airport by 7.30 pm. I took the cab from Gurgaon. I was relaxed as the app showed ETA 7 pm, despite the traffic congestion. And then it happened, an accident which blocked the highway. The frequent calls from my colleagues along with stationary cab and the ticking clock did little to my panic-attack-turning-into-a-heart-attack state! Thank God for the resourceful driver who once got an opportunity to move, took me from a longer route but the one that was traffic-free. I reached at 8.15 pm to see relief-laced faces of my colleagues and only when I had cleared all the check-in procedures, I sat with a hot cup of coffee in the lounge to breathe easily! I was traveling with my 45-days old baby from Mumbai to Jaipur. The unusual delay in the flight take-off coupled with the then shut air conditioners made the aircraft a hot stuffy cabin. (The air conditioners in the aircraft were switched off and were to restart only after the take off). I don’t know what was the cause, but the little baby in my arms cried, howled, wailed, shrieked at top of his small but powerful lungs… non-stop. The brand new mother in me tried her level bestest to calm the child. But all my efforts of cooing, feeding, changing his position in my arms, loosening his clothes, fanning him… failed. Though I refused to make eye contact with the fellow co-passengers, I could sense their irritation and feel their stares and hear their exaggerated sighs. Those were the longest 30 minutes of my life! Last weekend, I had to go to Nagaur, a small city in Rajasthan. I booked the hotel online which looked decent and was nearest to the railway station as I was reaching at 3 am. The room was large but had stain covered carpets and grime covered bathroom. One look at the bed, it was clear that the linen was not changed after the previous guest had left. I made the attendant change the linen in the middle of the night but that eeky feeling refused to leave me. This was in 2001, I had to take a flight from Mumbai to Cochin. I reached the Chhatrapati Shivaji Domestic Airport at Santacruz on time and showed my ticket to the security personnel. One look at the ticket and he said, “You are the wrong airport. Your flight is a connecting International flight which would take off from Chhatrapati Shivaji International Airport at Sahar, Andheri.” I actually felt the blood drain from my face. The memory of the stress and the panic on not finding a cab/auto to take me to Sahar, Andheri and then the delay due traffic and reaching just before they were closing the boarding counter at the airport, is still fresh in my mind! I have this habit of arranging clothes, shoes, toiletries etc in my hotel room after check-in. I was placing the clothes in the cupboard when I found them wet and slimy. On careful inspection, I found that it was shampoo. The culprit not only created a mess in my toiletries kit but made a mess of my clothes as well. I must have emptied half the water tank just to wash the various toiletries, as the soapy suds refused to go away. I was debating whether to wash the shampoo soaked clothes myself or not, but better sense prevailed and I dialed housekeeping to take away the clothes from me, before the urge to wash them on my own got strong. I have battled eve-teasing, put up with annoying co-passengers, waited endlessly as the flights/trains were delayed, no room despite the booking at the hotel, traveled all through the night without catching a wink and then reported for work at 9 am, reached destinations at all ungodly hours, got involved in an accident by sleepy Uber driver, have reported to work in the clothes which I was wearing for more than 30 hours because the baggage was misplaced by the airline and many many more mishaps. But all these have not diminished my love for travel. Rather, these challenges and experiences during travels have shaped me into the person I am today. Have you faced any travel problems? Do share them in the comment box below. I have visited more than 25 countries and travel frequently. These problems teach us just one thing, Patience. I agree with SG. With more travel comes more patience. Shilpa Nice pointers there, except for wailing child, have experienced that all! I remember reading about that travel experience of yours, Raj! True, all these experiences make us better! Well said! … and each one can make a great story! Except for the wailing child, have faced all the others. The wrong terminal was again Mumbai for me too… God, it was so harrowing… Remember the taxi fellow fleecing me too to make matter worse… I paid over 1300 to get from one terminal to the other! God! Rs 1300!! That’s TOOO much. I paid more than the regular fare too, but what your cabbie clearly took advantage of your situation! These airport terminal confusions can be pretty nasty. They are capable of giving you heart attacks! Well said, Mayuri! I’ve faced many, many travel problems. They make for good stories though. Like when I was traveling with my three daughters, all under 5 years of age – the baby bag is your lifeline to a decent journey packed as it is with medicines, snacks and changes of clothes in case of mishaps. Daughter number 3 knocked her glass of apple juice into the bag turning everything into a wet, sticky mess. OMG!!! What a harrowing experience it must have been! I could so identify with the wailing child issue. I was traveling with my son for the first time when he was 2.5 months. Probably he got an earache and throughout the flight, he kept wailing and I could do nothing to stop him. What was more annoying was that my co-passenger was getting extremely irritated and constantly giving me nasty looks. His stares were making me awkward and embarrassed. I would honestly never forget that trip. I can truly empathize with you, Balaka! While we can understand the irritation on the co-passengers part, but they need to step in our shoes too. We are not making the child cry purposely, in fact we are trying our best to keep him calm. At least traffic delays and gross accommodation is something that each one of us has experienced one time or another. Guess, these are part and parcel of traveling! How should I tell you this my dear, I felt as if I wrote this. Like you nothing can diminish my love for travel dear and yes I too have had multiple travel problems. Once on my flight to Zurich immediately after resuming my work after maternity leave which has already made me numb, I had to face this idiotic drunk young man for the entire journey. God! A drunk co-passenger!! How annoying!! I recently missed a flight becaue of a confusion in reading the time of the flight and it was painful. Missed an entire day because of a connecting flight issue. At the end…it didn’t matter much. But it felt horrible at the time. Ah! Missed flights… just last week, a friend was traveling from Kuwait to Delhi via Sharjah. He missed his flight to Delhi because of not adjusting his watch to the Sharjah timings and it being a silent airport. Poor guy had to buy a new ticket! Well said, these problems are momentary, but the memories of the wonderful journey/travel last a lifetime. I’ve faced all the problems mentioned by you, Shilpa and to add to it, is a hyperactive child. Imagine, the child adding to your woes! Aah! Hyperactive kids… are difficult to manage. SIGH! Once returning from Jaipur via Volvo; I had taken the 11 pm one – the driver got into an altercation with another vehicle near Manesar. That was it! They both pulled over and started fighting. We were all told that the bus wont go any further. The year was 2005 and I was travelling alone – this was a work trip. I was loathe to spend the night at the dhabha with all these men around me. Meanwhile the passengers had started calling their drivers and most left as they were prob from gurgaon. The men started hailing lifts from every passing car/vehicle. I was in such a jam! Didnt know who to call; even if I did call, it would take them an hour to reach, etc. Then there were only 5-6 of us left and a Sumo stopped. All of them piled in and in desperation I did too. Once I got in, panic set in. Thankfully nothing untoward happened and I got dropped off at Dhaula Kuan where my office cab was waiting. This is one of the worst n scary incident I have faced while travelling. OMG!! That’s truly scary and a harrowing experience, Shalini. Glad that you reached home safely! You said it, Shilpa! Another most annoying thing for me is flight delays. When we traveled to Europe recently, all our Lufthansa flights got delayed. The only one that was not delayed was the one connecting flight when the prior flight got delayed. We landed in Frankfurt 30 minutes before the take-off of the other one. May I add that Frankfurt airport is one of the worst ever airports in the world. No one expedited our process or was there to assist us. Our terminal was C and after A and B, the next one we could see was Z. Imagine! We ran all across the airport, and stood in lines for emigration and security and finally made it sweaty and tired. That was one hell of a bad experience. Don’t get me started on the wailing children. I was once so blessed that I found the same family with a wailing child on the to and fro flights from Bangalore to Chandigarh! Lucky me! OMG! 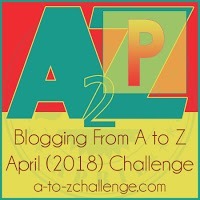 A-B-Z!!!! That must have been so distressing and nerve-racking! Your first one hit the spot for me. Will I get to the airport on time? I always leave ridiculously early then have to hang around the terminal for hours! Better safe than sorry. Then there’s missed connections and having to stay in a hotel overnight. That’s happened several times to me – Amman, Lisbon, Miami and Bahrain come immediately to mind! Missing a flight coming home? No problem. I believe in better safe than sorry too. But sometimes are best laid plans fail!! I also like arriving at the airport earlier than most. I’ll be in a panic on the way there, only to arrive more than an hour before the flight but my plan had been to be there an hour and a half early. So in my mind, I am late. Arriving for work in the same clothes as the previous day was far too common for me when I used to fly around to perform client training and software installations. If my overnight flight was delayed, I had no time to change so just arrived at the client site and hoped I smelled okay. I can’t imagine how long that 30 minutes on the ground with your baby felt. It had to have seemed a lifetime. Thanks for a fun post to bring back fun and not-so-fun memories! Gosh! Those must have been some stressful and annoying experiences, Susan! My daughter I think is great to travel with. Invariably, there are problems and she just rolls with them. We’ll be traveling together next summer so I’m looking forward to seeing if reality matches her stories! Aha! Good for you, Jacqui that you will have a reliable trouble shooter in case there are challenges. Another problem is- missing baggage. We have got scared a couple of times as one of our bags didn’t arrive! Thankfully they did, Phew! Yes, missing bags can give you massive panic attacks. I have seen that my bags come in the last batch on the conveyor belt, ALWAYS! And it is such a anxiety ridden period. My jaw hit the ground at the last paragraph, Shilpa! You experienced sooooo much!! You are ….I am so stunned, I have no words to describe you, dear girl! Okay, you are my Hero, as despite going through it all, you still love travel…and do it with elan! Whoa!!! Hahaha! Shilpa, your comment made me smile. Dont worry, you will do great. Have a fabulous time with your family Deepa. faced problem only once two years before. son had his geometry box in handluggage and during the scanning, it was found. loved the tips. And they must have confiscated it. Right? 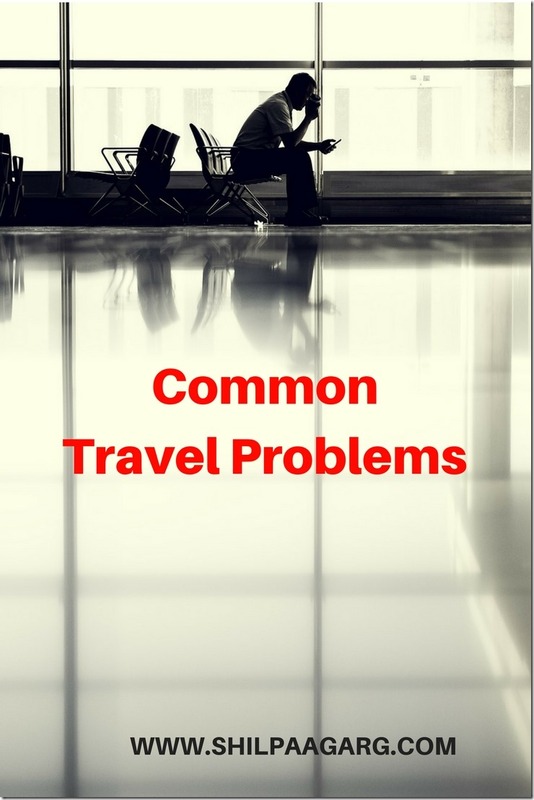 The valid list of travel problems. I would add “visa issues for our kids while traveling on a dependent visa”. We faced this with my son when we two are traveling to South Africa for our summer vacation. We got relieved only after being boarded with heated arguments with the officials. It was an unforgettable annoying memory. Aah! Visa issues can be pretty harrowing too! Travel problems surely improve next travel as there is lesson learnt. My cousin’s complete baggage went wet in rain in camp stay, we were able to give home shelter to 4 families who had nothing to wear in cold ooty climate that day. All were searching for warm clothes & iron to dry clothes.